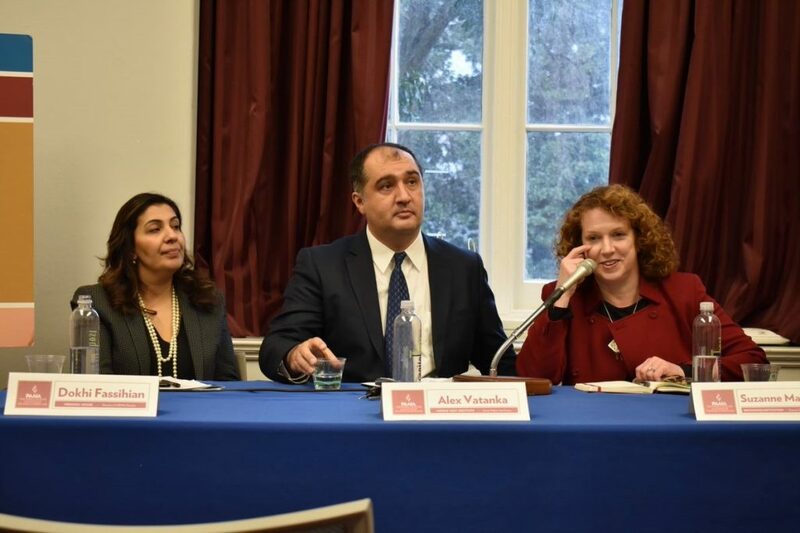 On Tuesday, January 28th, PAAIA held a congressional poll briefing and panel discussion on Iran. The bipartisan event was held in conjunction with Congressman Gerald Connolly (D-VA) and Congressman Francis Rooney (R-FL) with over 50 congressional staffers, representatives from non-governmental organizations, and others in attendance. 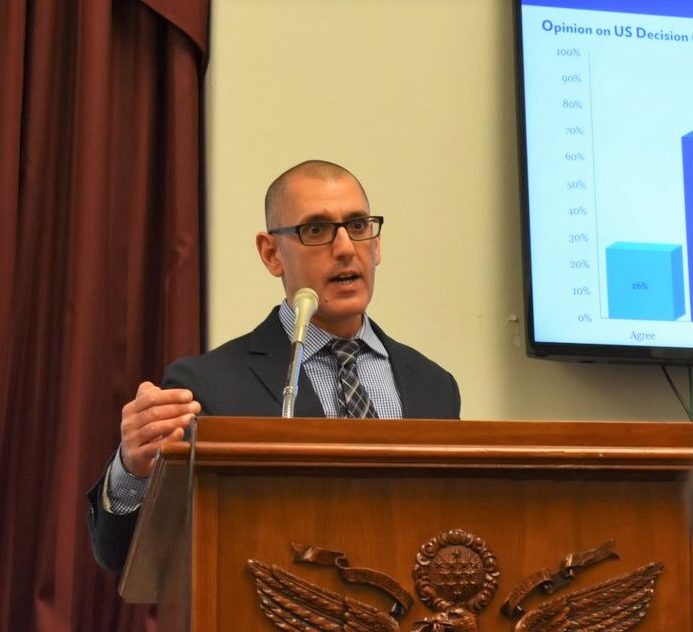 PAAIA’s Director of Government Affairs and Policy, Morad Ghorban, kicked off the briefing with a presentation of PAAIA’s 2018 National Public Opinion Survey of Iranian Americans. The aim was to inform policymakers on the views of their Iranian American constituents, specifically their opinions on U.S.- Iran relations and their hopes for a democratic Iran. Austin moderated the panel discussion on Iran beginning with a question about U.S. withdrawal from the JCPOA for Iran-expert and director of the Brookings Institution’s Foreign Policy program, Suzanne Maloney. Maloney touched on the ramifications of leaving the JCPOA and U.S. goals for the Iranian regime. Maloney noted that among many priorities the U.S. should have for Iran, the two major ones should be to create a viable banking channel for humanitarian trade and to collaborate with European allies towards a common Iran policy, even if it means making some concessions. On the topic of internal political dynamics in Iran, Alex Vatanka, an Iran specialist at the Middle East Institute in Washington, DC, explained that the regime’s tightening grip on the Iranian people in the wake of domestic protests demonstrates the regime’s unwillingness to respond to the Iranian people’s concerns. Despite the added socio-economic pressures from the re-imposition of U.S. sanctions, Vatanka believes the Iranian regime will survive and that no substantial change in government will take place as long as the Supreme Leader is alive. Dokhi Fassihian, Director of the Middle East and North Africa Program at Freedom House, discussed the current human rights situation in Iran, pointing to the leaderless protest movement in Iran as an example of the overall activation of Iranian civil society in response to government corruption and mismanagement as well as international sanctions pressure. On the question of U.S. support for human rights in Iran, Fassihian emphasized the importance of crafting a coherent human rights policy which includes, but is not limited to, negotiating for the Iranian people’s access to information and space for expression and association. In highlighting the current stalemate in U.S.-Iran relations, the panelists stressed the need to form a coherent U.S. policy agenda and facilitate negotiation between the two countries. PAAIA would like to thank our distinguished panelists, our congressional co-hosts, and all those who attended or watched the briefing online. Click here to watch the panel discussion and here to check out our briefing slides.